Just because Amazon is down doesn't mean your S3 apps have to be. Here are some tips and strategies for protecting yourself against the next Amazon S3 outage. This article takes you through list of best books to Learn Hadoop Administration. In this Spark fault tolerance tutorial, you will learn what do you mean by fault tolerance and how Apache Spark handles fault tolerance. They are finally pruning away deprecated methods out of Java 9. The deprecated value will now have deprecated meaning. Find out now Netflix and other leading organizations attract and empower the top talent required for building out leading enterprise architectures..
Software engineers are approaching development and enterprise design in an entirely new way, thanks to the cloud. 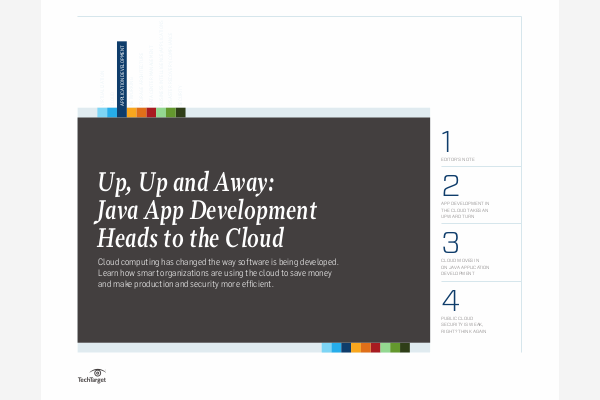 In this expert handbook, explore how your peers are leveraging the cloud to streamline app lifecycle management, save money, and make production and security more efficient. What strategies do you employ to make sure applications don't go completely offline when Amazon is down?